1242 Key West Drive Clawson, MI. | MLS# 218097967 | The premier resource for all real estate information and services in Metro Detroit. THIS ONE IS RED HOT READY TO GO! A RARE FIND! 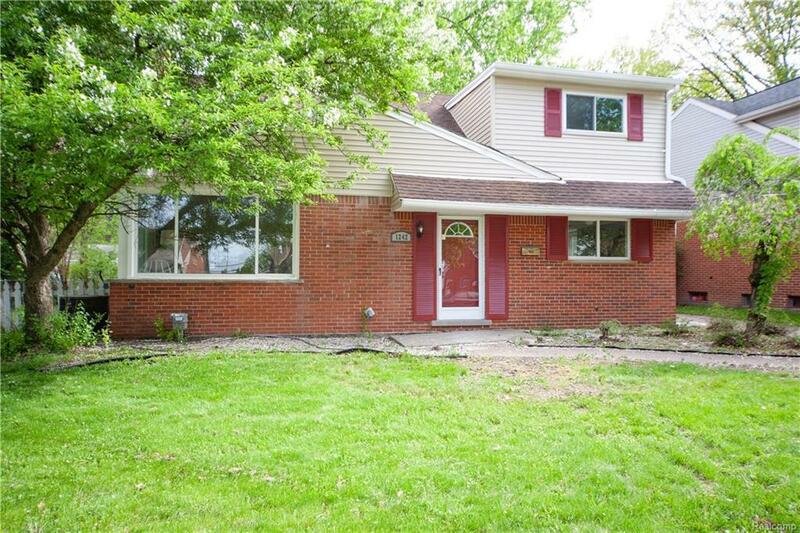 HUGE CLAWSON 4 BEDROOM OVER 2,300 SQ FT NEWLY RENOVATED W/ 2 FULL BATHROOMS, SMALL OFFICE, LARGE KITCHEN, LARGE DINING, LARGE LIVING ROOM & LARGE DINING ROOM TO ENTERTAIN ALL OF YOUR FAMILY & FRIENDS! NEW KITCHEN IS GORGEOUS W/ TOP NOTCH GRANITE COUNTERS & BACK SPLASH & FURNISHED W/ FRIDGE & STOVE. YOU WILL LOVE THE NEW HIGH QUALITY BEAUTIFUL HARD WOOD FLOORING. ENJOY THE 1 BEDROOM ON 1ST FLOOR & 4 MORE ON THE SECOND LEVEL. NEW SIDING ON THE HOUSE. NEW, FRIDGE, DISPOSAL, DISHWASHER, FLOORS, CARPET & MORE! KEEP THE CARS IN THE 2 CAR GARAGE & PLENTY OF DRIVEWAY SPACE FOR ALL YOUR GUESTS. NEED TO SHOP? NO PROBLEM! YOU ARE MINUTES AWAY FROM THE OAKLAND MALL SHOPPING DISTRICT W/ ALSO QUICK ACCESS TO MAJOR HIGHWAYS. JUMP ON I75 TO SEE THE TIGER & LIONS GAMES & ALL DETROIT HAS TO OFFER. YOU ARE MINUTES FROM ROYAL OAK, TROY SOMERSET MALL! WHAT ARE YOU WAITING FOR? COME SEE IT NOW! BE THE FIRST OFFER TO TAKE IT OFF THE MARKET AND MAKE IT YOURS!